The last part of Peter Jackson’s epic, special effects laden version of J.R.R Tolkien’s book becomes available in a special edition this week. Lots of epic scale battles echo the Lord of the Rings trilogy, and the film features some good performances from Martin Freeman and Ian McKellen. This film also sees the death of the dragon Smaug the magnificent and offers an interesting introduction to the Lord of the Rings saga. 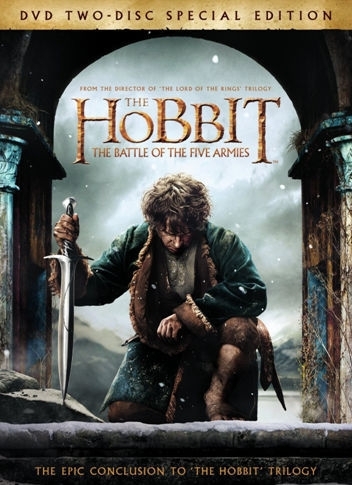 Directed by: Peter Jackson and starring Ian McKellen, Martin Freeman, Richard Armitage, Evangeline Lilly, Lee Pace. Rated PG, Runtime: 2h, 24 minutes.